Every new pc user has a short question on his mind, what is internet? Internet basically the sharing network which connected many computer and peoples to each other. It contains on IP (internet protocol) that connect other million of internet devices, every internet user has its own IP and without IP you can't access internet service. 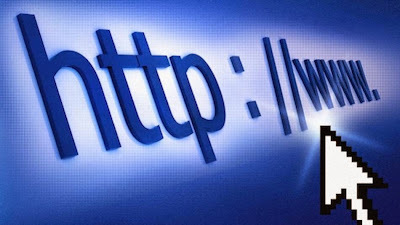 You can perform many task on internet like send emails to your friends, playing interesting games, browse people's official sites, make your own website and can sell your products online, reading hot news, connect to other peoples using social networking sites and many other action that you can't do without internet. Using internet, you can increase your knowledge by reading knowledgeable sites and you can make your own e-book which explains your internet experience. Other benefit of internet is this if you have any unimportant thing that you don't used than you sell it on internet by selling and purchasing sites like Ebay or Amazon. if you want to purchase something like smartphone, tablet, iphone or any other material and you hate market because of people's crowd than you can purchase it on internet via house delivery and pay money online. In today's Era, internet has a big usage approximately internet is present every where in offices, in schools, in houses, in shops and other places where internet is necessary. According to the report of American global survey, above 2 trillion peoples is the user of internet. You can access internet in any device including smartphone, tablet, iphone, mobiles, laptop and in other devices. Many business deals adjudge on internet cause internet provide every facility that businessman want. They can pay money online and received their business material via cargo or containers. Students can earn money online to pay their feeses or other education expenses. You can earn handsome amount if you have ability to work online. In the world, many financial systems now based on internet like room booking in hotel, air line ticket purchasing and receiving payment online. You can browse internet in web browsers like mozilla firefox, google chrome, Safari, Opera, netscape and can search your favourite on search engines including google, yahoo, ask, webcrawler etc. 1. Cable: Cable internet connection is the cheap internet connection where you can pay limited amount for monthly use but download unlimited videos, images or songs. By speedwise, cable internet is sometime slow and sometime very fast and connect via TV cable. If you want to buy internet connection for just to seeing video or email sending, so you should buy cable internet connection. 2. Dial-up: Dial-up internet connection is the connection that connects via your telephone line. You must have modem device to use dial-up internet connection cause modem is only the device that supports dial-up connection. In speed level, dial-up is very poor and very slow sometimes it takes 3 minutes to open an image and you can't make voice or video calls on dial-up connection because of slow speed. 3. Wifi: If you want to use wifi internet than you need router for it, without router you can't access wifi internet. Basically, the wifi internet service based on satellite system and router must be fixed near your home otherwise your device don't catch wifi signals. Internet speed of wifi is better but sometimes its very poor when many other devices used internet via your wifi connection. 4. Broadband: Broadband is the fastest internet in all types of internet connections. It is expensive to buy and available for limited downloading. In case of over downloading, the broadband internet company charges amount as per GB. You can browse internet in high speed on broadband connection and download full movie in short time. There are many ways to get broadband connection but the broadband internet device is the best way because the internet broadband device catch signal fastly. 5. Mobile Internet: Now a days, many mobiles allows their users to browse internet. In some mobiles desktop, there are icons created for facebook, twitter, yahoo and skype. You can activate internet in your mobile through SIM or wifi but the internet speed is slow because mobiles loads internet as per KB. Mobile internet connection is cheap in all types of internet connections.